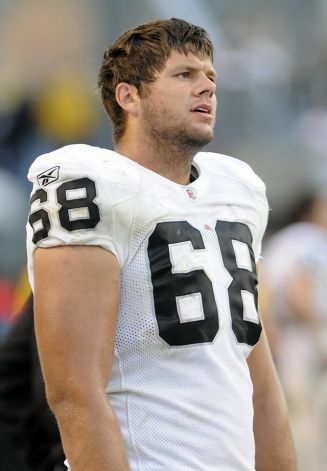 Raiders star left tackle Jared Veldheer who had a MRI yesterday will most likely now miss the rest of the 2013 season. Doctors have determined that Veldheer tore his triceps and is in need of surgery. This news comes at not a good time for the Raiders, the offensive line is the part of the team the Raiders could least afford to lose. So where do the Raiders go from here? It looks like Alex Barron will now be taking over at left tackle. Barron has been having a solid training camp and Raider coaches were considering having Barron replace Khalif Barnes on he right side of the line, but with Veldheer now out, those plan are now out the window. Andre Gurode is also looking to take over at starting right guard after guard Mike Brisiel had a woeful start against Dallas and was knocked to the ground many times. Brisiel seems to clearly be struggling picking up the power blocking scheme as he was a long time zone blocker. Lucas Nix has returned to practice coming off an injury and will pick up competing with Tony Bregstorm for the start at left guard. It’s is now clear with this huge injury to Jared Veldheer the Raiders offensive line has now jumped to one of the worst in the NFL and the Raiders as a whole have gone from bad to worse. 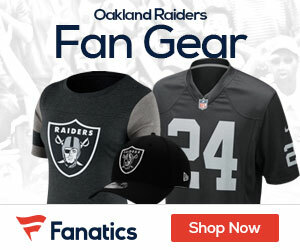 If they plan to give Matt Flynn anytime at all in the pocket, they better do something and bring in some real linemen or it would be wise to start Terrelle Pryor who can scramble and make play on the run because now who ever starts at QB for Oakland will not have a solid line protecting them that is for sure.